Even Agent 47 needs a little assistance sometimes, which is why we’ve compiled a list of several useful tips & tricks for Square Enix’s recently released Hitman: Sniper for iOS and Android. If you haven’t be sure to check out our full review of the game, but otherwise, let’s get started with the tips! Starting off with something very simple and easy to implement here. You’re probably aware of the “hold breath” feature, as it’s one of your two main buttons on the screen. However, you can maximize the usefulness of this feature by simply cancelling the effect as soon as you take a shot. There’s no need to watch your bullet fly in slow motion, as it’s going to hit the same spot regardless. Just tap the button right after you tap the fire button, and you’ll preserve more of the resource — thus not having to wait to use it again. You can pretty much use “hold breath” the entire round (whenever taking a shot) if you keep doing this. 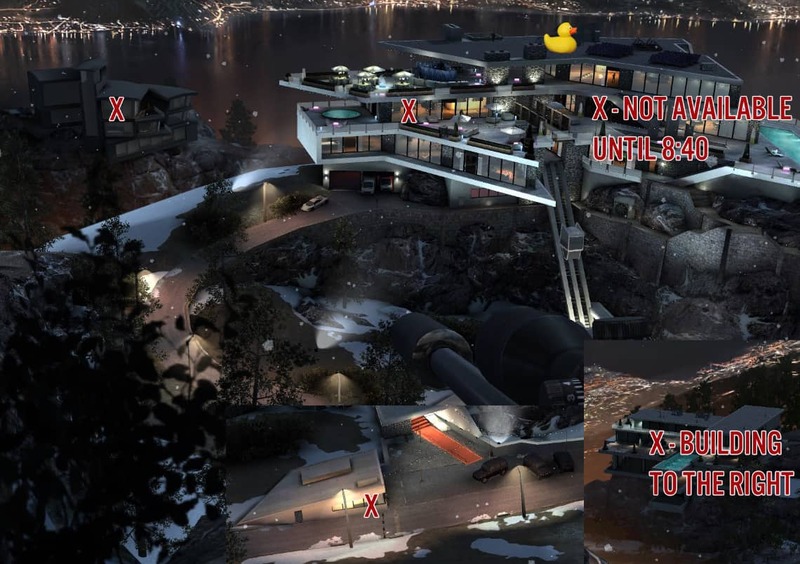 In Hitman: Sniper, you’ll play on one map throughout the entire game, and the inhabitants of this map will continue to move around the map the same way every mission. Because of this, it is extremely important that you study the inhabitants, and continue to learn their every move as you continue to progress through the game. Try to take a note of anything that seems like a special opportunity, as usually you can score more points by getting creative, and there is more than likely going to be a required objective to do that thing later on. This is very simple. Whenever you take out the primary target listed in your objectives, you’ve only got 10 seconds until you’re extracted from the mission. That means if you don’t have your secondary objectives complete by the time that count-down is finished, you’ll fail the mission and have to retry. If you do this by accident, and realize you need to take out another guard or whatever it may be, you can utilize hold breath to slow down the extraction timer and give you a few extra seconds to look around the map. You can rank up divisions by scoring a certain number of points, and by ranking up divisions, you unlock new sniper rifles that can be very useful in your arsenal. I don’t recommend to try and maximize your score on every single mission, as you’re going to spend a very long time completing all 150 of them — especially if you do it that way. Instead, just try to do this on missions that already have a score requirement. As for how you can score more points, the easiest way is to eliminate all non-primary targets. I don’t mean secondary objectives, as those are already required. I’m talking about the list of optional targets you’re given prior to starting the mission, which consists of people you’ve probably had as a primary target before. You can zoom in on any of the building inhabitants heads and if they are an optional target, you’ll be able to assign a purple target that follows them around the map. Other ways to score bonus points are performing creative kills, such as two headshots with one bullet, a domino kill, or shooting a fuse box to blow a guard off the map via a giant fan. You can also shoot vehicles to set off car alarms, which can get more than one guard in the same spot — making it easier to execute a double kill. If you’re confident with your shot, you can get extra points by not using “hold breath” for a kill as well. And finally, if you really want to maximize your score, you can get a few thousand extra points (not much) by destroying laptops and the rubber duck on any mission, which I’ll explain right below this. You’ll encounter missions that require you to find small objects on the map that aren’t super visible to the naked eye. Instead of looking all over the map for these objects, take a look at our cheat-sheet that shows you were to find the five laptops, as well as the hidden rubber ducky. In-case you missed the note, the laptop on the right hand side of the center building, 2nd level to the top, only becomes visible once the mission timer hits 8:50 — until then, the room has the lights off and you can’t see. Note: you can click on the above image to make it larger and get a clearer view. Lastly, it’s important to know what each of your weapons are capable of doing. They each have their own unique use-able abilities, and these can make certain objectives extremely easy. For example, one perk found on a few different weapons allows you to automatically headshot all marked targets (until the ability ends), which makes objectives like “get x amount of headshots without holding breath” much easier to complete. That does it for another set of mobile gaming tips & tricks! Hopefully you enjoyed these, and they’re able to help you do a little bit better in Hitman: Sniper. Feel free to leave a comment below with your own tips as well!